Award-winning documentary and New York Times Critic’s Pick INVISIBLE HANDS exposes child labor and trafficking within the supply chains of the world’s biggest corporations, which produce some of our most loved items. 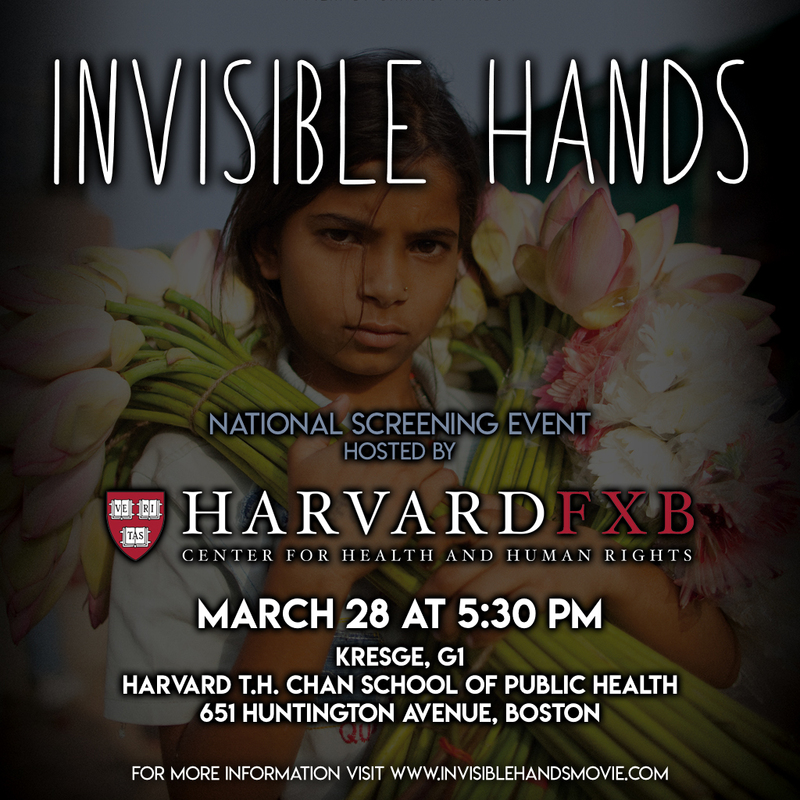 Join us for a film screening of INVISIBLE HANDS followed by a PANEL DISCUSSION. For more information, visit www.invisiblehandsmovie.com.